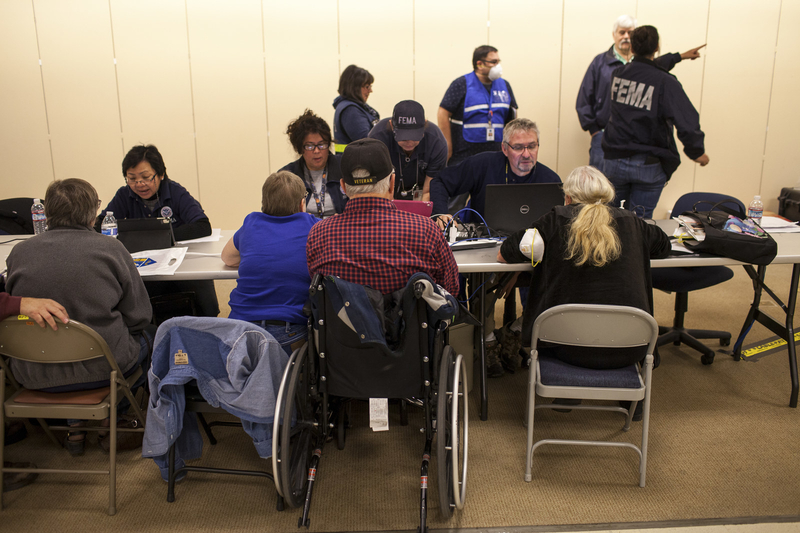 Kathy and John Wilkes at FEMA's disaster center in Chico. 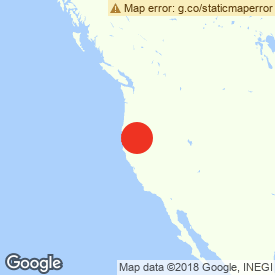 CHICO, California — Kathy Wilkes likes to think about her favorite coffee mug because it’s still too hard to process losing everything in an hour. It wasn’t anything special, a red heart-flecked piece of pottery that she bought at an antique store for 50 cents. But she used it every morning when she sat near the window in her snug studio above her landlord’s woodshed. Now, there’s nothing left but chalky rubble. "That’s what I miss most, my morning routine," Wilkes said. That routine went up in flames when, just before sunrise on Nov. 8, the Camp fire ignited in the rural town of Pulga, California. Ninety minutes later, it was in Paradise, and thousands found themselves scrambling to escape, abandoning cars and cowering in lakes to survive. As of Monday, the blaze had killed 77 people, and scores of names are still listed as missing. Residences leveled by the Camp fire in Paradise, California, on Nov. 18. The most deadly and destructive wildfire in California history has now created a massive housing emergency, with thousands like Wilkes and her husband, John, homeless and nowhere to go. The Federal Emergency Management Agency says officials are scrambling to find enough housing to meet the demand. As of Monday, more than 13,000 households affected by the Camp fire registered for disaster assistance, Brad Pierce, part of FEMA’s team on the ground, told BuzzFeed News on Sunday. 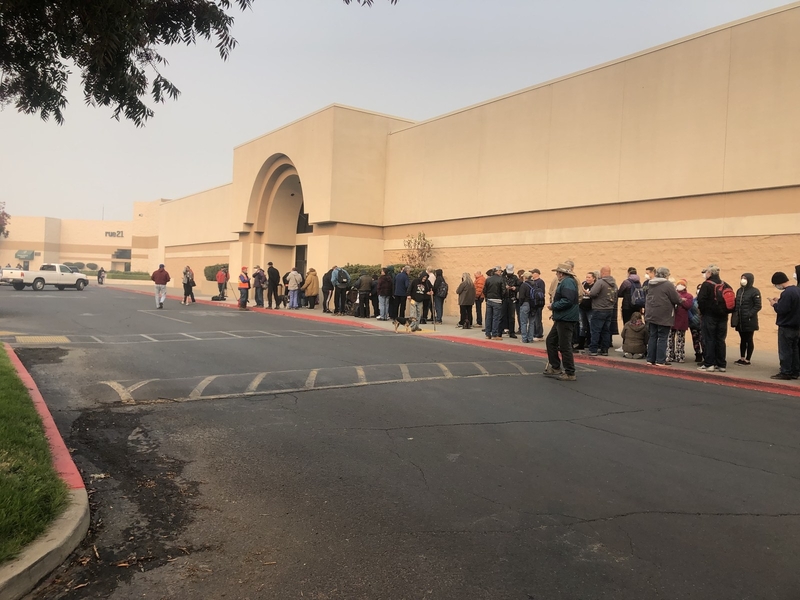 But that number is expected to climb, with about 1,000 people a day seeking help at the site inside an abandoned Sears in Chico. Dozens of evacuees started lining up outside the building at around 7 a.m. on Friday in the chilly, smoke-filled air. Many were there two hours early, anxious to start the long, complex process of trying to reestablish themselves. Among them was Rema Eley, a 55-year-old mother of three who volunteered at the Gold Nugget Museum in Paradise. She's still surprised at what she chose to grab when the flames came that morning: a tent, a floatie — “in case I had to jump in the lake because that’s how fast it was coming at me” — one of her grandson’s scribbled drawings off the fridge, and a picture of her youngest daughter, Kayla, from second grade. "Then I ran,” she said. "My husband passed away five years ago and I lost everything that was him. I didn’t realize it until I saw it happening in my rear-view mirror." Like its victims, the Camp fire has flung FEMA into uncharted territory. For one thing, the scale of the disaster is massive. The fire reduced nearly all of Paradise, population 27,000, and large chunks of surrounding towns to ash in an area already in the crux of a housing shortage. Another major hamstring is that inspectors cannot get into neighborhoods to view, assess, and then approve residents’ applications because authorities are still looking for bodies, and will be for some time. A search and rescue dog looks for human remains at the Camp fire on Nov. 16 in Paradise, California. In a first for the agency, Pierce said Monday that FEMA, with the help of Cal Fire, is now using geographic mapping technology to survey evacuees' homes "to assess structural damage without needing inspectors to actually visit the property." This new process "will greatly expedite survivors receiving assistance," he said, noting that they've completed 2,4000 inspections thus far. Once inside the abandoned department store–turned disaster center, John Wilkes scanned the room wide-eyed. Federal, state, and county agencies and local groups took up two rows of tables, topped with buckets of candy and stacks of paper, like a DMV on steroids. Eley and her 24-year-old daughter, Kayla, were also among the hundreds of residents going from table to table in search of housing. Housing was already a problem before the fire scorched more than 11,700 homes and nearly 750 other buildings and businesses. In Butte County, officials estimate they can only take in about 800–1,200 people, since just around 2% of homes were vacant before the fire. In Paradise, the median household income is around $47,000, or $14,000 below the national average. Thousands of those families are now displaced and, like the Wilkes, have no idea how they will afford to live in the state. The retired couple was paying $400 in rent and living at times a little tightly but comfortably on their $1,000-a-month income. FEMA and California have now joined forces to create a special task force aimed at taking evacuees from overflowing shelters and putting them in more permanent places, but there aren't enough available. "The bottom line is that we don’t have enough hotels or rentals for people," said Shawn Boyd, with the California Governor’s Office of Emergency Services. "We don’t have a timetable right now. It’s going to take a long time and we have to figure out some creative solutions." Evacuees rest at a makeshift encampment outside a Walmart for people displaced by the Camp fire in Chico, California. Because of an issue with their FEMA application, the Wilkes never really made it past the first table. They have about 10 days to submit some financial documents before they can resume their disaster assistance journey. While waiting to learn about low-interest loans, Kathy Wilkes, 67, broke into an intense, rattling coughing attack “from the smoke." Worn out after nearly two hours and no answers at the FEMA center, the couple decided to go back to their hotel. They have one more week there — after that, they’re not sure.